UPDATE: A new game is coming, and it’s called Fallout 76. Read about it here. Fans of the Fallout franchise, take note. Bethesda Studios just tweeted this, hinting at a new installment of the iconic series to come. Anyone vaguely familiar with Fallout will recognize this. It’s clearly in the style of the game’s retro-inspired loading screens. Its precise meaning, however, is shrouded in mystery. What’s Bethesda got cooking? Is it working on a new installment of Fallout? That wouldn’t be too surprising, given 2015’s Fallout 4 is three years old at this point. 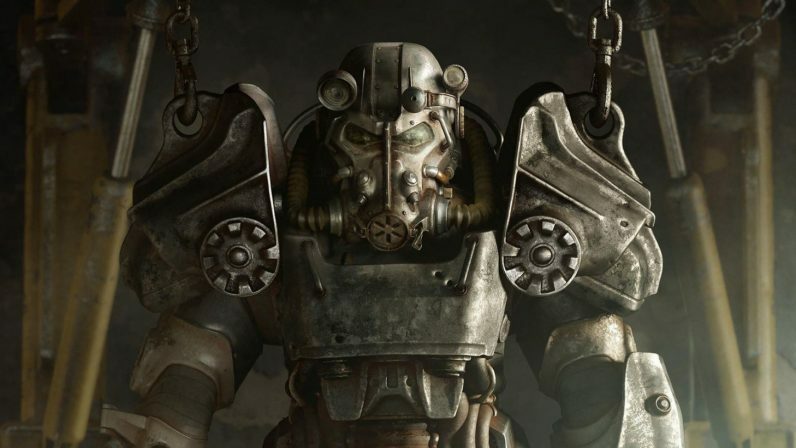 Another theory bouncing around the TNW office is that Bethesda’s working on a remastered version of an earlier title, like Fallout: New Vegas or Fallout 3. I’m not entirely convinced by that, especially when you consider both titles are backwards compatible on the Xbox One, but it’s not outside of the realms of possibility. If this is the case, it’s most likely to be Fallout 3, given it’s the title’s tenth anniversary this year. Or maybe it’s working on a sequel to 2015’s Fallout Shelter mobile game. That wouldn’t be surprising considering the inroads most AAA studios are making into mobile gaming, and the success of Bethesda’s earlier effort. Either way, we’re not sure, although as die-hard fans of the series, we’re damn excited. I’ve reached out to Bethesda for more information, and in the unlikely event I hear back from them, I’ll update this post.